Amid a messy and violent stock market backdrop, Nike (NYSE:NKE) played the role of knight in shining armor Friday, Dec. 21. Nike stock jumped as the global athletic apparel giant reported very strong second quarter numbers which beat both top and bottom line expectations, and underscored that growth globally is accelerating. Also, management delivered robust third quarter and full-year 2019 guides, both of which implied today’s big growth is here to stay for the foreseeable future. This rally has legs. Alongside a plunging market, Nike stock was 20% off its 2018 highs heading into the second quarter report. Against that sell-off, a 5%-plus rally in Nike stock is nothing. But, the numbers confirmed that the rationale behind NKE stock dropping – slower growth, trade war tensions, higher costs – is flawed. Instead, growth is picking up, demand in trade war affected areas is strong, and gross margins are marching higher. As such, it is reasonable to think that second quarter numbers gave Nike stock enough firepower to retake its highs. It won’t happen right away. But, if third and fourth quarter numbers are just as strong, Nike has a clear pathway to new all time highs by the end of fiscal 2019. In a nutshell, Nike stock dropped 20% from October to December because of the same things that are killing the market. Namely, trade tensions and rate hikes. Trade tensions were supposed to dampen China and Asia Pacific demand, while pushing up input costs. Meanwhile, rate hikes were supposed to cool red-hot consumer enthusiasm in America, and put Nike’s North America rebound on hold. As it turns out, none of that is happening. Instead, quite the opposite is happening. Across the board, Nike’s growth rates are getting bigger. In Q1, constant currency revenue growth was 9%. In Q2, that rate accelerated to 14%. This five points of revenue growth acceleration isn’t small, and it was broad-based. North America revenue growth rates went from 6% in Q1, to 9% in Q2. Europe, Middle East, and Africa growth rates went from 9% to 14%. China growth rates jumped from 20% to 31%. Asia Pacific & Latin America growth rates went from 14% to 15%. Also, gross margins rose 80 basis points year-over-year in Q2, which is more than they rose in Q1. Across the world, Nike’s business was far stronger this quarter than it was last quarter. What about trade tensions? What about higher rates? Those headwinds didn’t disappear. But, they clearly aren’t strong enough to offset tailwinds throughout the Nike business. Nike’s tailwinds include an unprecedented pace of footwear innovation, healthy momentum throughout the basketball business, growing share in the women’s category, rebounding growth in the Jordan line, and solid progress on tech initiatives like digital, smartwatches, and Express Lane. In other words, the tailwinds powering Nike’s global business forward are simply too strong to be offset by trade war and rate hike headwinds. This projects to remain true for the foreseeable future. Nike’s third quarter and fiscal 2019 guides call for continued high single digit revenue growth or better throughout the balance of the year. Gross margins are expected to continue expanding. And, most importantly, profit growth is expected to remain vigorous. 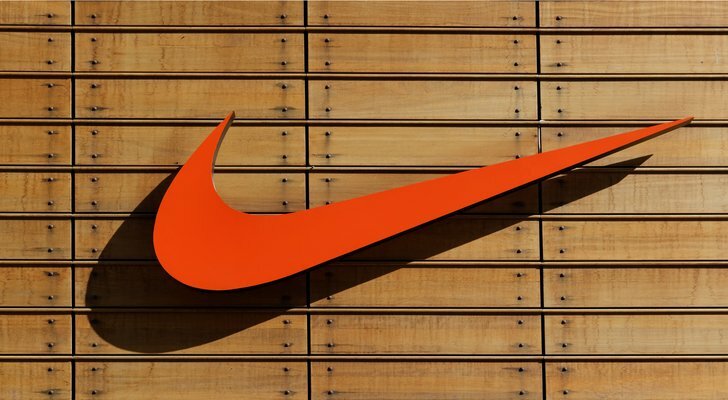 Broadly speaking, the second quarter earnings report proved that fears which dragged Nike stock down 20% in three months don’t hold water at the current moment. Given strong second quarter numbers and a robust guide, it seems reasonable to believe that the consensus thesis on Nike’s growth trajectory pre-October will gradually become the consensus thesis again. That consensus thesis is that this is an athletic apparel giant who, after several years of losing share, is finally starting to get it’s act together and is growing globally with unprecedented momentum. This momentum won’t last forever, but it should power consistent and healthy mid single digit revenue growth over the next several years. Alongside that revenue growth, gross margins should trend higher thanks to more premium product offerings, while opex rates should drop due to revenue scale. If you model those projections out, it is easy to see that $5 in EPS in achievable by fiscal 2024. A historically average 25 forward multiple on $5 implies a fiscal 2023 price target of $125. Discounted back by 10% per year, that equates to a fiscal 2019 price target of over $85. Thus, if things go as planned, Nike stock has runway to reclaim all time high levels by the end of fiscal 2019. Strong second quarter numbers affirm that Nike’s tailwinds right now are too strong to be knocked off course by what are still relatively small trade war and rate hike headwinds. If those headwinds grow into something more, Nike’s business might slow. But, that isn’t happening today. As such, if things go as planned over the next six months, Nike has a chance to soar back to all time highs. Article printed from InvestorPlace Media, https://investorplace.com/2018/12/the-plain-truth-is-this-rally-in-nike-stock-has-legs/.